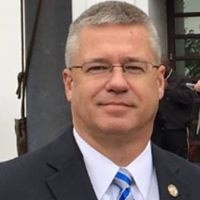 Oxford (AL) Police Chief Bill Partridge has a message for people who talk smack about his cops: Put up or shut up. Or he'll put it up for you. Partridge said there has been a barrage of videos and comments on social media seeking to disparage good cops. He decided to fight back. "Effective this date it will be my policy that if you disrespect one of our officers and then file a false complaint or make false claims on social media, I will post the video footage of the contact on social media for the public to see. I am tired of false complaints being brought to the department in an attempt to get out of a traffic charge or criminal charge." And Partridge already has kept his word, with a 34-minute video that has been viewed more than 600,000 times since he posted it on Thursday. "These men and women do a dangerous job and they shouldn't have to put up with beratement,'' Partridge told AL.com on Monday.